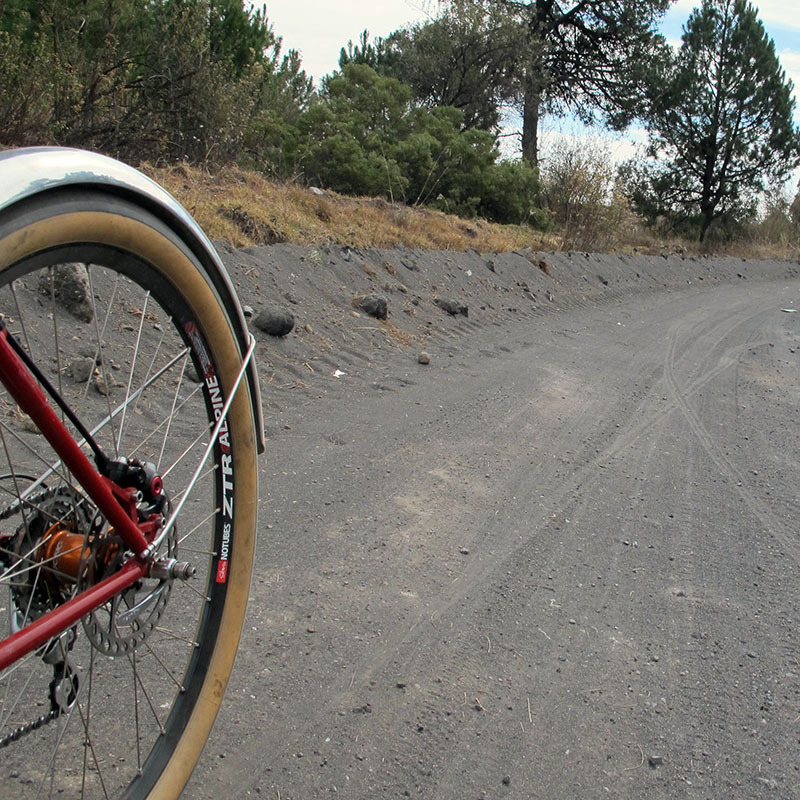 The Rat Trap Pass (26″ x 54mm) is the ultimate expression of our new Enduro Allroad tires. With its 54 mm width, it is incredibly plush, yet thanks to the smaller 26″ wheel size, it handles like a good road tire. Rat Trap Pass bridges the gap between the mighty Suiattle & White Chuck Rivers while following the valley created by Crystal Creek and Straight Creek near Darrington, WA. It’s a road that is rough in places and smooth in others, so the extra volume both increases your confidence and your speed. On pavement, the grip of the Rat Trap Pass is incredible – think race car with ultra-wide tires. Experiment with your tire pressures to get the most out of the Rat Trap Pass. Too high, and it will bounce on undulating pavement. Too low, and it will collapse during enthusiastic cornering. Get it just right, and you have a tire that outcorners and outhandles almost any other tire on surfaces from smooth pavement to rough gravel. Only in soft mud will knobbies offer more traction. 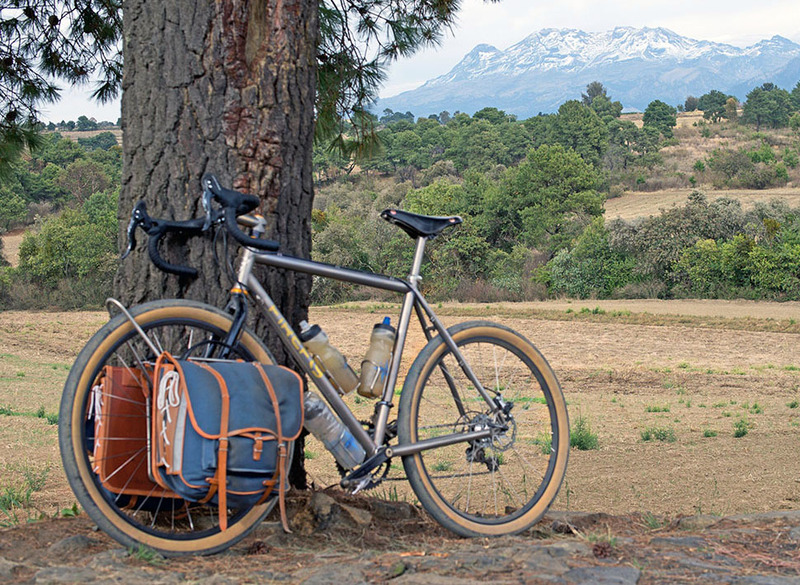 Whether you use this tire on a brand-new Enduro Allroad Bike or upgrade your existing 26″ tandem, touring bike or mountain bike, it will be hard to go back to lesser tires once you have tried them. The nominal width of the Rat Trap Pass tires is 2.3″, but on most rims, the tires measure 52 mm (with tubes) and 54 mm (tubeless). The Rat Trap Pass is tubeless-compatible in both standard and extralight casing. 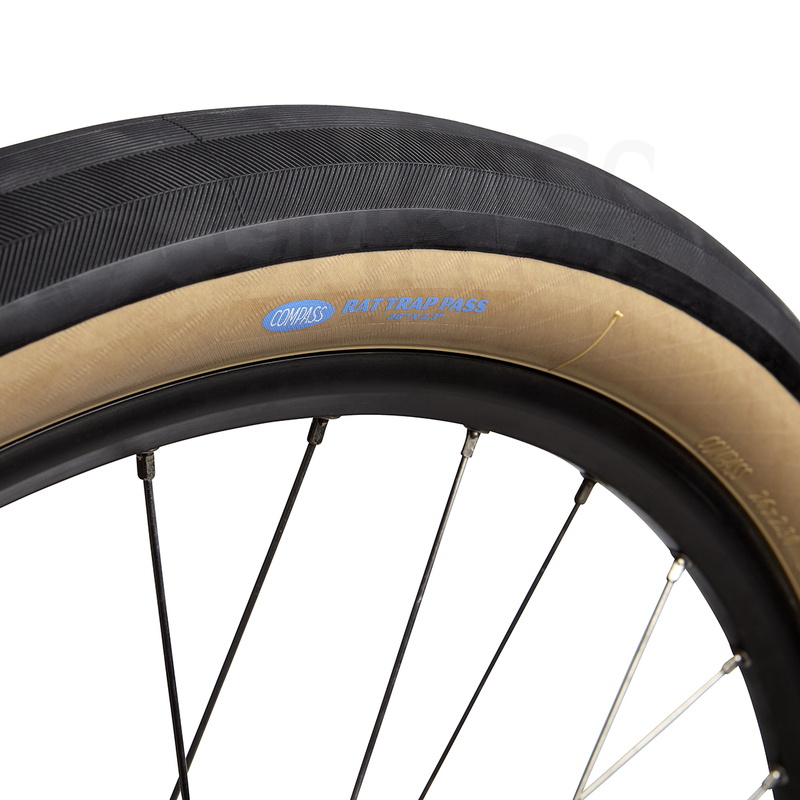 When used with tubes, we recommend the Schwalbe SV13 tubes. Rene Herse tires combine the performance of high-end tubular tires with the convenience of clinchers and the width needed for allroad riding. Our supple casings roll smoothly over surface irregularities. They absorb less energy as they deform with each tire revolution. Rene Herse tires make your bike feel alive. From the first meters, you will notice the difference. Available with Standard and Extralight casings. The Standard casings are an affordable option that also offers extra protection against sidewall cuts on sharp rocks. The Extralight casings take the performance, comfort and feel of your bike to an entirely new level. Once you have a set of Rene Herse tires, you won’t be able to go back to “normal” tires! What is the difference between standard and extralight casing? What tire pressure should I use? Click here for a downloadable article on optimizing your tire pressure and tire installation instructions.